Gently renews the skin for a new level of luminosity. 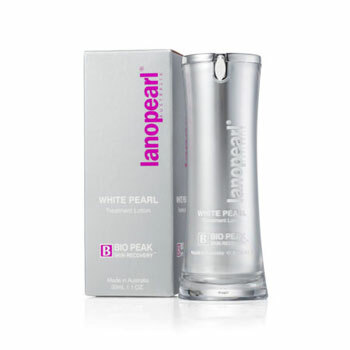 Contains a potent natural plant extract that helps to lighten the skin tone. It is used for its ability to inhibit melanin synthesis and lighten the skin. It is a natural skin brightener and softener. This extract acts as a tyrosinase inhibitor and lighten unwanted skin pigmentation. It can inhibit melanin production in the process of skin whitening. It helps to prevent redness and sunburn from UVB rays. Improve the health of skin cells which in turn promotes healing and the ability of the skin to protect itself against a variety of harmful environmental factors. It helps to protect the skin from damaging free radical activity. It is a natural antioxidant, and can effectively treat nasty age spots. It is gentle on the skin and is good for those with sensitive skin. It inhibits tyrosinase, which catalyzes a key step in pigment synthesis. It helps in reducing acne breakouts and the appearance of wrinkles and other signs of aging. Apply liberally to the skin areas, gently massage till it disappears. It helps in skin lightening.You can apply it before going out in sunlight also as it is with sunscreen protection and usage of other sunscreen is not required.